king columbia is a loose-limbed folk string band from portland, oregon. they have a traditional approach, no electricity to be found here. there is a definite beale st./juke joint hop to the band's step. they fit nicely into the old time string band/jug band revival, with a relaxed pacific northwest twist. everything sounds great on their debut album 'patamoi pentateuch'...gritty, percussive fiddle playing, low down, lonesome, howly singing, whining dobro and twangy banjo. 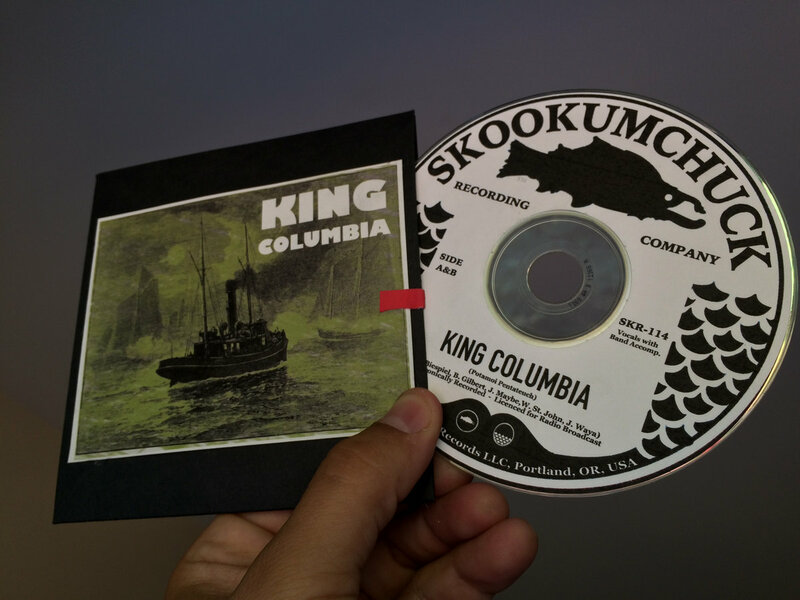 king columbia are a strong link in the folk music chain. get it here, your choice of limited edition CD or digital.